Play How to leverage BizTalk Server as Enterprise Service Bus(ESB)? As organizations look to Service Oriented Architectures to help them deliver flexible, agile and responsive IT environments, the Enterprise Service Bus has emerged as a key architectural pattern to help achieve this goal. 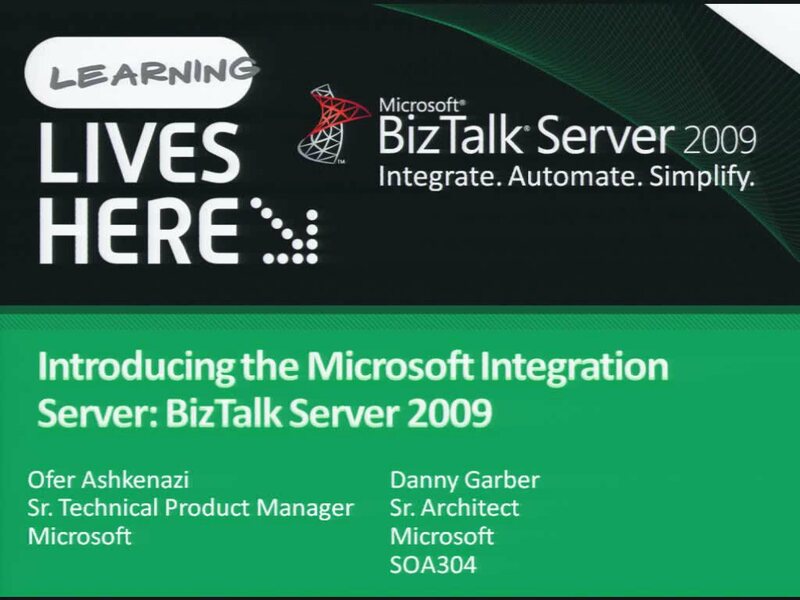 In this talk, Danny Garber and Ofer Ashkenazi discuss how customers can leverage Microsoft BizTalk Server to implement Enterprise Service Bus pattern and how it allows an organization to build a dynamic, flexible, and practical ESB as part of the larger Service Oriented Infrastructure.